Noun: Act, manner, or method of treating or dealing with someone or something. Conservation treatment deliberately alters the physical and/or chemical state of cultural materials. Treatment may consist of stabilization and/or restoration. 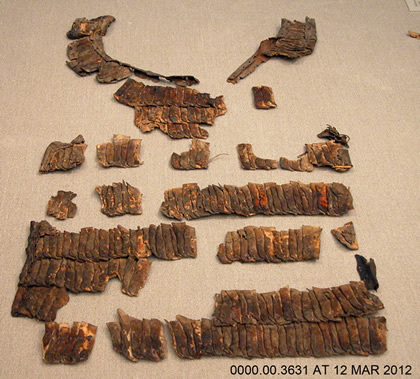 Stabilization treatments are intended to slow or prevent further deterioration, while restoration treatments are designed to return cultural materials to a known or assumed state. 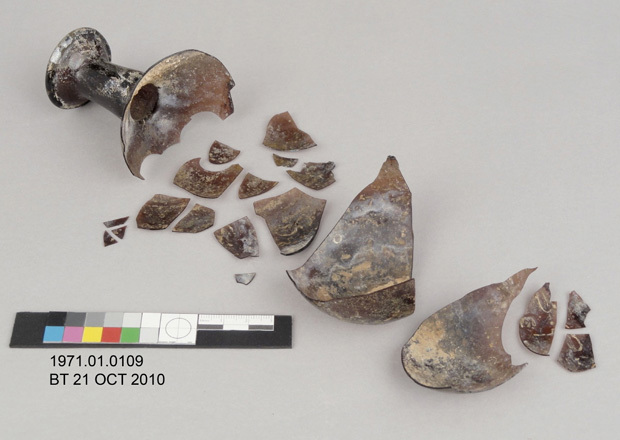 For example, treatment of a pottery vessel might involve stabilizing the ceramic by removing water-soluble salts, but it might also involve restoration — reassembling broken fragments and filling in the gaps left by missing pieces. Glass vessel before conservation treatment. 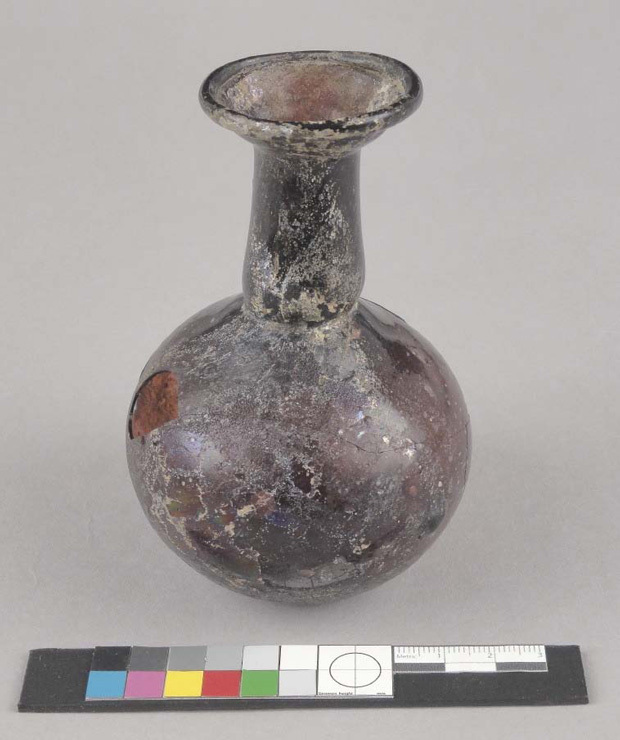 Glass vessel after conservation treatment. Whenever possible, conservators use conservation materials and treatments that can be removed or reversed without damaging the original artifact. Although conservation treatment is, by definition, an intervention, conservators try to change the original artifact as little as possible. Modern conservation methodology also calls for restorations that are easily distinguishable from the original material. 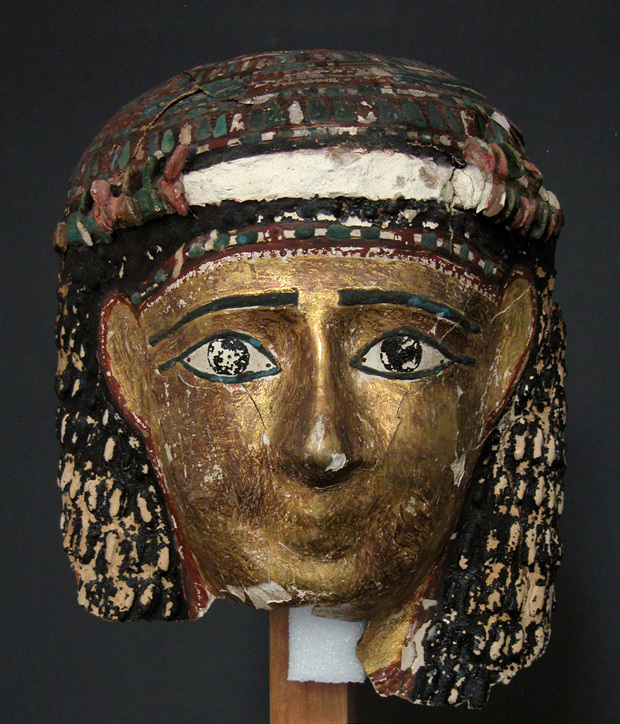 Click on the images below to learn about the conservation treatment of these objects.